Engage with thought leaders representing a variety of perspectives on today’s economic and social challenges. Connect to a network of innovators making a difference in business and society. Learn about programs and resources to help you achieve your goals. See cutting-edge technologies in action and gain insights on how to apply them. 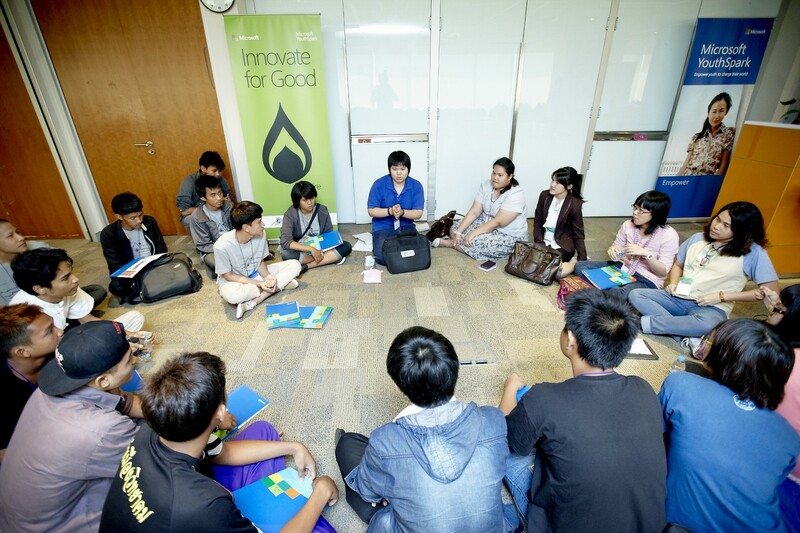 Innovate for Good is a day and a half-long event taking place in Makati City on May 18 - 19, 2013. >> Read about what happened in "Building a Better World Together: Microsoft and GK Host “Innovate for Good” in the Philippines"
Gawad Kalinga is a community development foundation established in 1995 that focuses on empowering communities to instil values to the people. Gawad Kalinga (GK) wanted to be able to integrate information across its various communities to manage online collaboration of documents to gain operational efficiency and communication throughout the whole GK community. Among the number of Microsoft products they use, GK has deployed Microsoft Office SharePoint to effectively manage its database. Gawad Kalinga (GK), a community development foundation that aims to end poverty and instill values formation to its communities, wanted to collate and manage all of its communities’ files to enable better access to information and improve the organization’s operational capability. 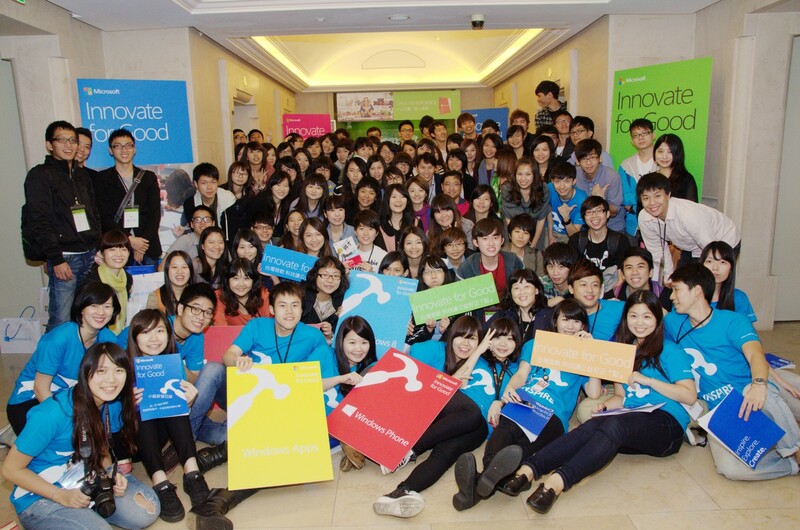 With the help of various Microsoft products like Microsoft Office SharePoint, Windows Server 2008 R2, Exchange Enterprise, Visio Professional, Project Professional and Office Professional, the GK community was able to manage data flows among its internal communities, and between internal communities and funding partners. The deployment of SharePoint into the IT infrastructure of GK allowed the organization to have a more organized database of all the necessary information for smoother, efficient and more manageable business operations. Gawad Kalinga (GK) is a community development foundation driven by the vision of building communities empowered by people dedicated to help alleviate poverty and restore human dignity and values formation. Established in 1995, GK now operates in about 2,000 communities in the country and in nearby countries like Cambodia, Indonesia and those from East Asia. “We knew instinctively that we needed to improve our information technology and financial systems to maintain the integrity of the organization, the trust of our partners and our communities, as well as build strong tracking systems to be able to monitor our work and assess which among our key actions and strategies drive our desired outcomes,” said Issa Cuevas-Santos, IT Department Leader, Gawad Kalinga. With this in mind, GK decided to make significant investments in IT to help meet its daily challenges in connectivity, transparency and efficiency. Furthermore, GK wanted a solution that is not limited to what it is capable of performing, but must have the ease of access and convenience to develop other solutions for the daily operations of the organization. GK had extensive discussions on which technology it should use and decided to go with Microsoft, which has been proven to be a reliable and excellent provider of technical support. They wanted a platform that was stable and had support because they were going to use it throughout their global operations. “We knew that we needed tools that will help answer the growing needs of the organization and will help us move more aggressively in software development with our in-house IT team, so we chose to implement Microsoft solutions in our system” imparted Cuevas-Santos. GK has its own Unity software program and its gk1world.com website that were built using the Microsoft platform. GK sought the help of partners to fund the development of GK Unity, its web-based software that serves as their operational support system and database for GK communities and funding partners throughout the world. It incorporates key workflow features to manage partner pledges, needs matching, program tracking and reporting as well as a directory of their personnel and partners. Thus, GK invested in building a social mobilization website and software. www.gk1world.com is the online information center of the GK global movement. It is also a marketing tool for resource generation and member mobilization – connecting all volunteers and communities of GK around the world. Using the integration with GK Unity, the organization creates reports from the ground that can be easily displayed in their website, making information sharing easier between its partners and teams around the world. “The integration between GK Unity and the GK1World makes it easier for our partners to see the transformation in GK communities, interact with other volunteers and partners, and find ways of helping create stronger and greater impact among the numerous GK communities,” shared Cuevas-Santos. To be able to further utilize technology in its daily operations, GK implemented Microsoft SharePoint 2007 into its system. “We utilize SharePoint to facilitate team collaboration and communication. Today, it is one of the most utilized tools in the GK organization. We also use a hosted Microsoft Server SQL 2008 database for all our applications and even Microsoft SharePoint,” expressed Cuevas-Santos. GK received a total of $144,616.00 worth of software as its first Microsoft Grant classified as a Strategic Partnership Software Donation in 2009, which supported and helped the organization to maximize its use of IT. Some of the software granted to GK then were Windows XP Pro, Office Pro Plus 2007, Windows Server Enterprise 2008 R2, Visio Pro 2007, and Exchange Server Enterprise CAL Device, among others. With this Microsoft grant, GK deployed Microsoft Office SharePoint 2007 to its IT infrastructure to update the online collaboration of all data from its local communities. Microsoft Windows Server 2008 helped the organization efficiently collaborate with all GK member communities, manage documents and files, and easily locate information. “With Microsoft SharePoint, our organization has been able to facilitate online collaboration of our files and access vital information that help us in our daily backbone operations,” said Cuevas-Santos. In addition to this, Cuevas-Santos shared that GK comprises of a very small core team of fulltime workers and a large number of volunteers. This presents a challenge on how the organization can provide systems and tools to make workforce productivity efficient and simplified while still maintaining a level of professionalism in their global operations. “With SharePoint, we are able to better keep track of important files and documents, manage schedules better and connect with one another in a more efficient way. Since GK does not have a lot of physical offices, SharePoint has become our mobile office and has allowed ease of communications for our internal backbone operations,” emphasized Cuevas-Santos. Gawad Kalinga, through the use of Microsoft Sharepoint 2007 and other Microsoft products, was able to integrate important data, easier access files and manage their own database. Moreover, communication between GK communities has become easier with the use of these Microsoft technologies. Microsoft has helped GK with its communication system and with the combination of these structures; communications are sent out faster and in a more efficient manner. This saves GK from spending on calls, fax or snail mail and has also cut down on coordination time, as well as issues of important memos and documents getting lost along the way. 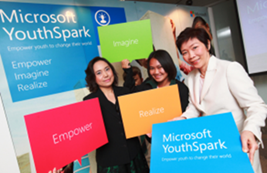 “We have seen relevant improvement in the backbone of our volunteers after the implementation of Microsoft solutions. It is now easier for them to create reports, because all systems are web-based,” Cuevas-Santos shared. As GK is a huge organization doing extensive work in the Philippines and around the world, its systems and tools have facilitated collaboration within and among teams, and share critical information for decision-making. “One of our biggest difficulties was getting both a birds-eye view as well as a detailed view of how each community was doing, but this is now made easier using the various systems we have built,” she added. With Unity and its integration with the organization’s financial software and the website, reports from the ground can easily be viewed by the internal GK organization and can also be displayed in the GK website with the click of a button. GK builds both communities and a global movement of like-minded individuals and groups, and a big part of the work is sharing best practices and stories that inspire volunteers because they can see the transformation in the communities they support, as well as give them an idea of the community’s most urgent needs and how they can help. Because of the technologies they use, they are able to consolidate data, measure impact, and run metrics. The various systems built and implemented by GK allow the organization to build for the future, helping make sure that GK continues to be a world-class organization with integrity and transparency, and an efficient enabler to ensure that programs and services are provided to the poor communities that need them the most. The passion and integrity of GK’s caretaker teams, coupled with a robust IT infrastructure, and systems and processes that facilitate the work and ensure accountability, are the key factors that ensure that GK will continue to enjoy the trust not just from their funding partners, but the communities they serve. “Our volunteers are just amazing. The software we use helps us in giving justice to the kind of nobility and heroism that our volunteers do. It’s one thing to create a story on ground but Microsoft’s technology helps us share that story,” concludes Cuevas-Santos.